With the year almost gone and no races scheduled, it’s time for just a bit of contemplation. Nothing existential, no soul searching, just some wrap up and moving forward. In 2011 I raced 14 times, setting new race PRs in the 1M, 5K, 10K, 25K (my first race at the distance), Marathon, 50K, and 50M. I actually also saw PRs at virtually every distance up to 10 miles in training, thanks to lots of downhill runs, and came close to other distance PRs within a few of my races (I tied my 5K PR within a 10K, and came close to my half marathon PR in each half of the St. George Marathon. With significant training in Orlando, Taos, Santa Fe, Boulder, St. Louis, Kona, and Germany, I was able to experience running across sand and snow and through jungle and forest and mountains and open high desert. With (at least) 26 long runs and weekly mileage hitting a peak of 90, I’m feel like I’m just now starting to break through to find my potential. More importantly, the goal setting and daily work is fun and exciting. Now, with 2012 almost here, what’s next? I know what I like the most: running trail for long stretches, preferably in the mountains, at about 55 degrees with just a hint of sun. Hopefully I’ll get at least some of that. But, I want to be a stronger, faster runner, too. That means doing some of the less-fun stuff. Probably a lot more. Lower body strength training will need to be a staple. Long uphills training will help, too. And probably some proper speed work, at least in the key weeks of race build ups. I expect to race a lot, opportunistically jumping into whatever I can based on scheduling and geography. While my primary focus will be running ultras, I do plan on pushing hard in shorter races, both for fun and to get in some faster miles. Andres (long-time running buddy) and Ted Larison (friend and newly minted ultra-marathoner) are committed to running the 2013 Leadville Trail 100 Mile Run, one of the most challenging races in the world. Even with 20 months to prepare, I’m not entirely convinced I can be ready for it but it is certainly in the back of my mind. 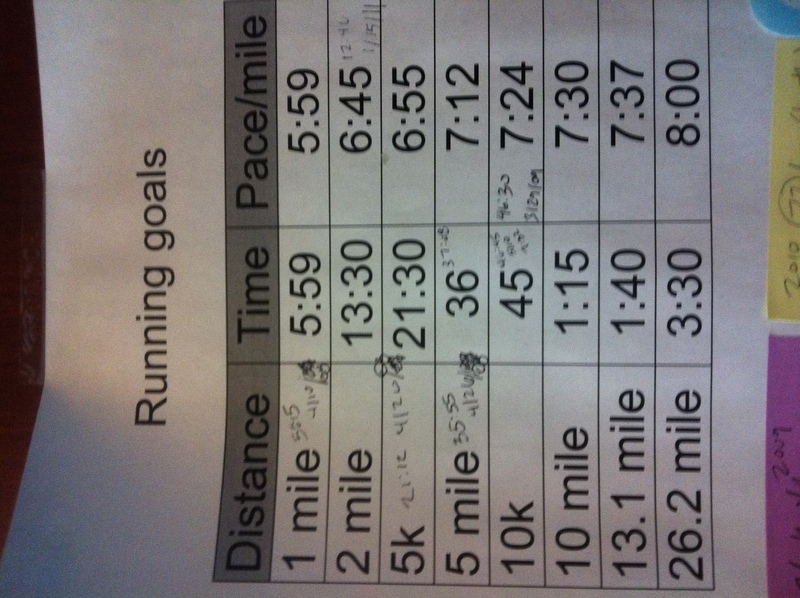 A lot will depend on the kind of mileage I am able to physically handle, enjoy, and find time for in 2012. If I can build a consistent weekly base of about 70 miles for the year, maybe with some peak weeks nearing 100 miles, I think I’ll have the confidence to commit to something like this. In the meantime, while in Austin I’ll hit the local trails and races as often as possible. I’m trying to figure out good ways to include Sagan, Baby Two, and Alison in the adventures. I envision some rig with Sagan on my back and Baby on my front and Al at my side, making even an hour hike something of a solid effort that the whole family can enjoy. It is a bit uncomfortable to be completely without a next race to think about but I’m going to enjoy the time to just run whatever seems like a good time. There is a New Year’s Day 5K race that looks like a good way to start the year so maybe I’ll see if I can start 2012 with a new PR?